Jammu: The Jammu Court on Wednesday directed to the Senior Superintendent of Police, Jammu to lodge FIR against the Principal Government Medical College and Hospital Jammu. 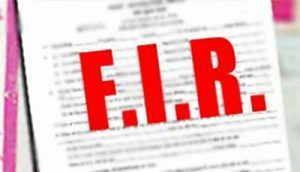 Official sources here said that the Chief Judicial Magistrate Jammu, Ashwani Sharma directed SSP Jammu to register FIR against Dr Sunanda Raina, In-Charge Principal GMC, Jammu and Dr Vishal Tandon, Associate Professor Department of Pharmacology GMC, Jammu. The CJM Jammu after hearing Advocate Vivek Sharma and Advocate Amit Kumar observed that the case of the complainant that she applied for the post of Associate Professor (on academic arrangement basis) advertised for the Department of P&SM GMC, Jammu. As per the advertisement issued by the GMC, Jammu, two years experience as Assistant Professor was required to apply for the post of Associate Professor which was being possessed by the applicant herein. The applicant alleged that she was the sole candidate who applied for the post of Associate Professor against two vacancies, however, the result of the applicant was not declared deliberately in order to oust her and to adjust some blue-eyed person for the post and it was told to the applicant ultimately that she is not eligible for the post. It was further alleged that the applicant was interviewed by the committee comprising of four members, however, the result of the applicant was not declared for some extraneous reasons. The husband of the applicant also applied before the Public Information Officer seeking information but the Principal Govt Medical College, Jammu did not provide the same within the stipulated period. Thereafter, the husband of the applicant filed the first appeal before the Principal GMC, Jammu being 1st appellate authority under the Act, which was disposed off by the 1st appellate authority, as a result, the applicant was forced to file the 2nd appeal before the State Information Commission. The applicant has also approached the Senior SP Crime Branch, Jammu for lodging the FIR and investigation, but her request has not been considered. The Court observed that the application is duly supported with an affidavit also and the matter being of a serious nature, as such, directed to the SSP Jammu to lodge the FIR against the accused persons under the relevant provision of the Code and investigate the matter under 156 (3) of CrPC and report compliance.